Whether you are a new consumer of essences or a long time user looking for a new supplier, it is within this page where you will find all that you need to know about this brand and the items they offer. I have my share of experience of the best Young Living oils available, both the singles and blends, which I will share with you below. That said, I am happy to have tested these oils and give you a take on the popular ones on the list below. To start with, this company is revered by serious aromatherapy advocates. If you are dabbling in the world of essences like I was long ago, then you may also try to see how they stand up compared to other top brands. What Can I Use Them For? ​ Who Should Use This? What Are People Raving About These Oils? Essential Oil Diffusers vs Candles: Which Is The Best Choice? 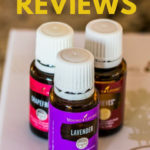 Young Living Distributor Review: Is It Worth It? Organic vs Non-Organic Essential Oils: Does It Matter?